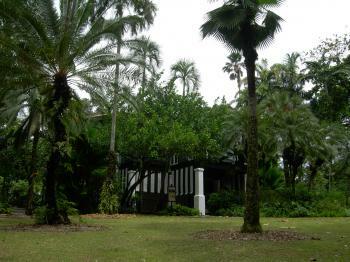 The Singapore Botanic Gardens comprise a garden landscape that started as a British tropical colonial botanic garden. The gardens were created in 1859, and have been a centre for plant research since. It covers 74-hectare and is located in the heart of Singapore city. Singapore accepted the World Heritage Convention only as recently as 2012, being one of the last sovereign countries to do so. Heritage of the tangible kind never has been much of a priority in Singapore. After independence in 1965 the focus has been on economical development against all cost. The recent interest in conserving heritage seems to be stimulated by NGO's such as the Singapore Heritage Society that spoke up about the remaking of Chinatown in 1998 and the demolition of the National Library building at Stamford Road in 2001. Heritage however does play an important role in the "invented" Singaporean national identity: "Heritage binds Singapore and sells it. The development of Singapore into Asia's premier "Garden City" for example was initiated in 1963 by Lee Kuan Yew himself. In pursuing its first WHS, Singapore puts less emphasis on the tourism functions of World Heritage: the expected political and sociocultural returns appear more important. The selection process for a possible WHS started already before 2012. In 2010, a study was commissioned by the Ministry of Information, Communications and the Arts to identify potential sites that could fulfill UNESCO's criteria as World Heritage Sites. Sites such as Haw Par Villa, Bukit Timah Nature Reserve and the former Ford Factory, were considered. 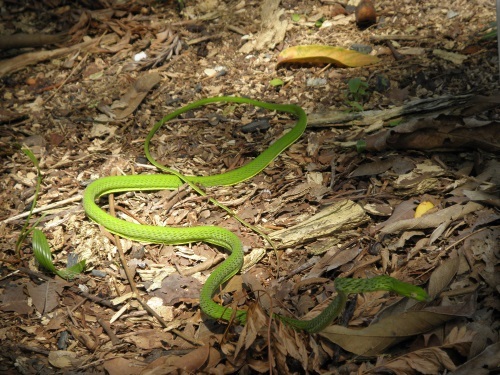 Of the sites identified, the Singapore Botanic Gardens proved to be the strongest candidate. To date, it's the country's only TWHS and up for nomination in 2015 (the 50th anniversary of Singapore's independence). The full nomination document accidentally came into our hands earlier this year. The site is proposed for inscription under criteria (ii) and (iv), and also as a cultural landscape. Its claim as best preserved British tropical colonial botanic garden landscape is the most convincing argument. It was a site for experiments on crops such as rubber and orchid hybrids, that shaped Singapore's economic development. And: "Between the early 1960s and late 1980s the Botanic Gardens revised its mission and focus from a largely research-oriented organisation to one that would spearhead and be the driving force behind Singapore's "Garden City" vision". I visited Singapore on my RTW-trip in 2011. I was about 3 months on the road by then, and needed to replace some clothes and technical stuff. So I did mostly practical things during my 5 day stay, and I also went to a swimming pool in a (sufficiently green) residential area. I had expected to like Singapore a lot, as I generally do enjoy big Asian cities that are full of life. Singapore is very westernized and modern however, and rather is a convenient place to live in than an exotic tourist destination. The Singapore Botanic Gardens were one of the few tourist attractions that I visited, and without a doubt the most impressive one. Over 4 million visitors come here annually, making it the most visited Botanic Garden in the world. I remember the National Orchid Garden as one of the prettiest parts of the gardens. It's really a big site, a combination of a landscape garden with special interest zones. It amazed me how "wild" it was, with a variety of birds. I even stumbled upon an intriguing snake. Considering the WHC's current policy to let every country have its WHS, it should be easy to get the Botanical Gardens in for Singapore. There's no other "tropical colonial" Botanical Garden of this size, fame or importance in the world. And the immaculately presented nomination dossier, created by a consultancy firm, will surely help. I visited this WHS in January 2018. Even if you have a couple of hours to spare in Singapore, this is an easy tick (even though Singapore as a country deserves a longer stay). The Botanic Gardens are open daily from 5am till midnight and are a great half day or day trip in Singapore if you want to explore in more detail. 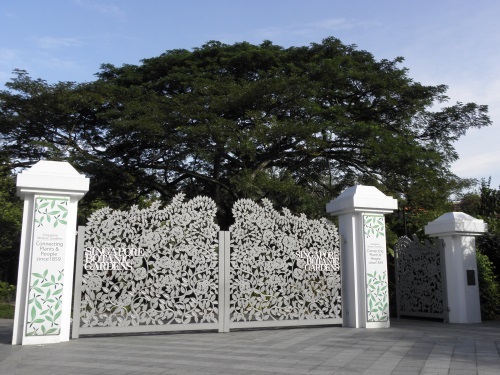 There are 4 gates to access the Botanical Gardens: Tanglin Gate, Tyersall Gate, Nassim Gate and Bukit Timah Gate. If you intend to cover all the botanic garden use Tanglin and Bukit Timah Gates as you points of entry/exit. There are UNESCO WHS inscription plaques proudly displayed at Tanglin and Nassim Gates. The gardens are free of charge but to access the National Orchid Garden (open daily 08:30 to 19:00) which is the core of this WHS you'll have to pay 5 dollars (it's definitely worth it!). With over 1000 species and 2000 hybrids, the National Orchid Garden is the product of the Garden's orchid breeding programme which began in 1928. Near Tanglin Gate, you can actually see scientists, botanists and horticulturists working in the labs. 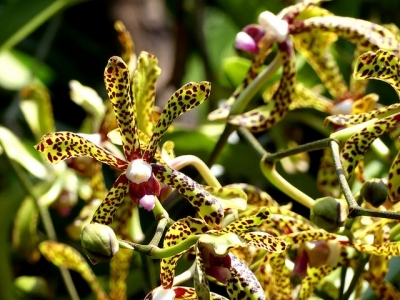 The Garden offers a permanent showcase and the largest display of orchids in the world. Some parts of this area are currently closed but it still is well worth the entrance fee for what you get to experience. Established in 1859 by the Agrihorticultural Society, the Singapore Botanic Gardens were designed by Lawrence Niven, whose work reflected the English Garden style that influenced the emergence of numerous English landscape gardens and public parks from the 18th century. This layout as well as the historical buildings such as Burkill Hall (1868), Ridley Hall (1882), E. J. H. Corner House (1910) and Holttum Hall (1921) remain almost entirely intact. With over 4 million visits reported annually, Singapore Botanic Gardens are the most visited botanic gardens in the world even though they didn't feel as crowded as other botanic gardens I have visited (probably due to it being huge in size and due to the fierce internal competition with the Gardens by the Bay). We really enjoyed our visit not only for the beautiful orchids but also for the unexpected birdwatching and wildlife treats (we effortlessly spotted black-naped orioles, sacred kingfishers, sunbirds, red-legged crakes, squirrels, skinks, butterflies and the elusive oriental whip snake). I had less than 24 hours in Singapore when I visited in September 2012, but there was no way I was going to miss the Singapore Botanic Gardens. Accordingly, early in the morning the day after I arrived, I woke up and took a short subway ride to the gardens. The morning was humid, and a light mist rose from the trees as I entered the gardens. Fellow early risers were practicing tai chi on one of the vast lawns. I wandered around the grounds, admiring the trees and lakes, until the jewel of the site, the National Orchid Garden, opened. The orchids were exquisite, the blooms open in a profusion of red, orange, pink, and purple petals. The orchid garden requires a small entry fee, but it was well worth the expense. Singapore Botanic Gardens was inscribed on the World Heritage Site list as a tropical botanic garden that has proven vital for research and plant conservation -- particularly in supporting the cultivation of rubber on the Malay peninsula. The gardens are also Singapore's first World Heritage Site, and I think they are a beautiful addition to the list. 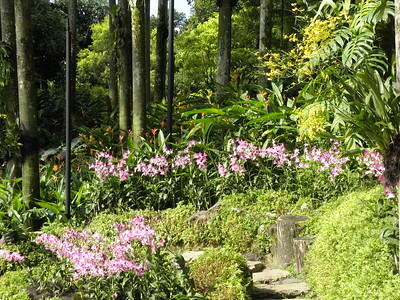 Logistics: The Singapore Botanic Gardens are easy to reach via subway (Botanic Gardens MRT station on Circle or Downtown lines), bus, or private transportation. I visited the Singapore Botanic Gardens. As i read the other reviews here I was not surprised nor disappointed. It was basically what i expect. Lots of green grass field, a part is rainforest (which is pretty unique inside a city). The Orchid garden was lovely; the colors and types. I liked the place, and I think it deserves to be UNESCO WHS. See the link for my photo gallery. Many visitors to the Singapore Botanic Gardens (SBG) will be underwhelmed, perhaps because of a tendency to treat the gardens as a natural site. Gardening in essense, is an incorporation of natural and human elements - no surprise also that the State Party submitted the nomination as a Cultural Landscape. It is admirable how this area remained intact despite the many pressures to urbanize - this is already an outstanding achievement in itself. I have hopes that the evaluation result later in 2015 will favor Singapore's first UNESCO World Heritage nomination. When I first heard that the authorities were considering this nomination, I was extremely skeptical about it. My reaction was "But the place is so altered!" And yet in the comparison study, it is suggested that this one is the best example of a British tropical colonial botanic garden in the region. Comparisons were made with the ones in Penang and Hong Kong, among others. There are other places in the country that have much more potential of passing the OUV test in my opinion. Unfortunately, as also observed by the previous reviewer, any inscription will affect development plans. In fact, I wonder how they are going to handle the large buffer zone around the Gardens if inscribed. I suspect some people may regret the nomination in the future. The people who should understand may not completely understand the implications of having WHS status. That is of course not to say that I do not like my country's Botanic Gardens. It is definitely a wonderful place to take a walk in and be away from the city for a bit. However, these Botanic Gardens have always been to me just a large nice garden. Nevertheless, I will still support the nomination, even if I am not entirely convinced of its worthiness on the List. And since this is Singapore's first WHS, maybe the Committee will be extra lenient. The nomination dossier can be found on the Singapore Botanic Gardens official website. On my three days business trip to Singapore, I found a time to visit the famous Singapore Botanic Gardens which actually seemed to be no problem as the garden opens everyday from 5 AM to midnight, but I also wanted to visit the famed National Orchid Garden too and this section only opens till 7 PM, so after meeting I directly went to the park and arrived at 4 PM, a perfect late afternoon time to see the places and stayed in there until 8 PM before my dinner. The first thing I saw was the lovely light gray casted iron gate, a very charming entrance to the park, the park, except orchid garden, was free so no ticket booths or guards around. Inside the garden was full with exotic tropical plants in the very interesting mix landscape of English garden, tropical jungle and modern garden. 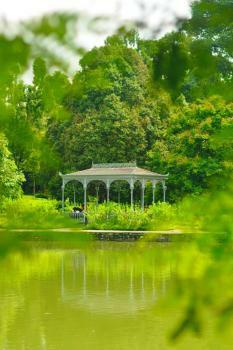 There are small lovely lakes, large lawn area with bandstand and palm trees next to a very lush forest like garden. I also saw heritage rubber tree which said to be one of the first group of rubber trees in Southeast Asia, this historical tree is very interesting as rubber plantation industry in this region was a result of this tree and become one of outstanding universal value reason that Singapore used to nominate the garden as World Heritage Site as economic garden. Another highlight of the garden is orchid; in the garden I saw many kinds of orchid especially in the National Orchid Garden. 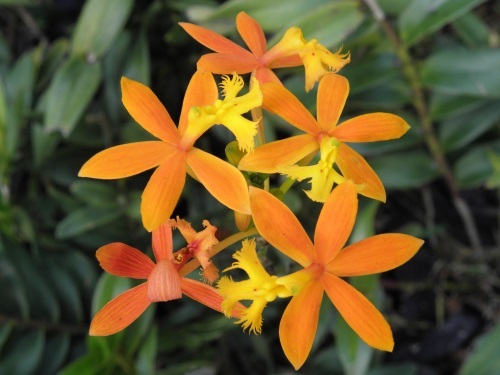 There are orchid named after royalties like Japanese Emperor, Princess Diana, African Monarchs and also politicians and celebrities like Angela Merkel and Margaret Thatcher! 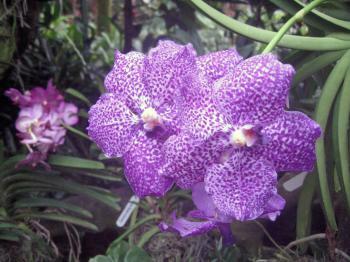 But the most impressive one was large grove of beautiful Vanda Miss Joaquim, Singapore National Flower. The garden also has small cool house with rare carnivorous plants only found in the region, ginger garden, a lot of authurium, curcumas and colorful elephant ear that will easily make gardeners cry out of joy. My overall experience in Singapore Botanic Garden was fine; the garden was lovely but actually quite smaller than I thought. However I felt that the garden was not exactly of what heritage botanic garden should be! There was nothing like Kew or the one in Padua in terms of old garden. The landscape layout also looks very new, except small colonial landscape around Swan Lake and the bandstand; I felt the garden has been developed and altered to match trends of gardening throughout the years. The botanic garden in Kandy, Sri Lanka is maybe better in term of preserving heritage layout. I am also not sure with the concept of economic garden that Singapore uses to nominate the place as rubber is not a focal point of the garden anymore, the main plant research in this garden are orchid and curcumas, but both are not economical plant although more profit generates than rubber. The story behind why Singapore chooses this garden as its first World Heritage Site can shed a light to many answers. There are three sites that matched the criteria, Bukit Timah Nature Reserve, colonial old city including the Tiong Bahru Estate, and the Botanic Gardens. It seem that it is a big task to distinguish small Bukit Timah from other forests in Malaysia and Indonesia, and the concern of buffer zone criteria in colonial old city may affect the land development of this small city state, so Botanic Gardens is obviously their single choice. But does Botanic garden offer the best of Singapore? My answer would be "NO", but since Singapore wants to become "Garden City" and "City in the Garden" so to have botanic garden as a World Heritage Site, as a centerpiece of the island, is maybe an appropriate one, and at least the choice is a more welcomed selection than Sentosa Island or Changi Prison! Anyway in my opinion, the newly built Garden by the Bay is actually more impressive than Singapore Botanic Gardens and if you have short time in Singapore, Garden by the Bay is the place to go except you are an orchid lover or maybe a World Heritage Site enthusiast!! The Botanic Gardens of Singapore! It will definitely be a UNESCO World Heritage Site. The inscription is truly worthy for a site that showcases remarkable human achievements and the exceptional contributions made to mankind. Without a doubt, this site will rise up to match the greatness of the Great Wall, the awe of the ancient Pyramids or Petra, and even the amazing Amazon. It will be the most convenient site to be ever visited by any tourist. With the efficient, extensive and inexpensive metro system, it just takes less than 40 minutes from the airport or less than 10 minutes from the city centre to get to the front of the entrance of this wonderful garden. It is truly remarkable. With a free entrance, it will ensure that all visitors will be able to enjoy the gardens without any worries of any charges, without any discrimination, fair or favor. Situated in the heart of the Garden City, this site truly embodies what a Garden City should be. It will further confirm what the current state is, a true Garden City. It houses many different species of orchids, of many different plants and herb species, which otherwise could not survive outside of a garden environment. It has a fundamental influence upon the economical development due to the research of economically important plants. Even without the inscription, it is visited by 4 million visitors a year. The target is to go up to seven and one. This will further confirm how true a garden city it is indeed. And it will in no time be inscribed upon. Review was supposed to be short.